Active noise cancelling technology has always been an intriguing concept to me. The concept is pretty basic: sound travels as a wave, to cancel out a wave you simply need the opposite sized wave to be at the same place at the same time. 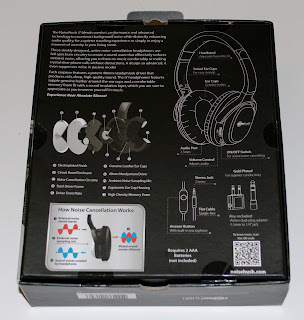 Active noise cancelling headphones go one step further to identify noise sound waves and they only send through the opposite sound waves to the surrounding noise. 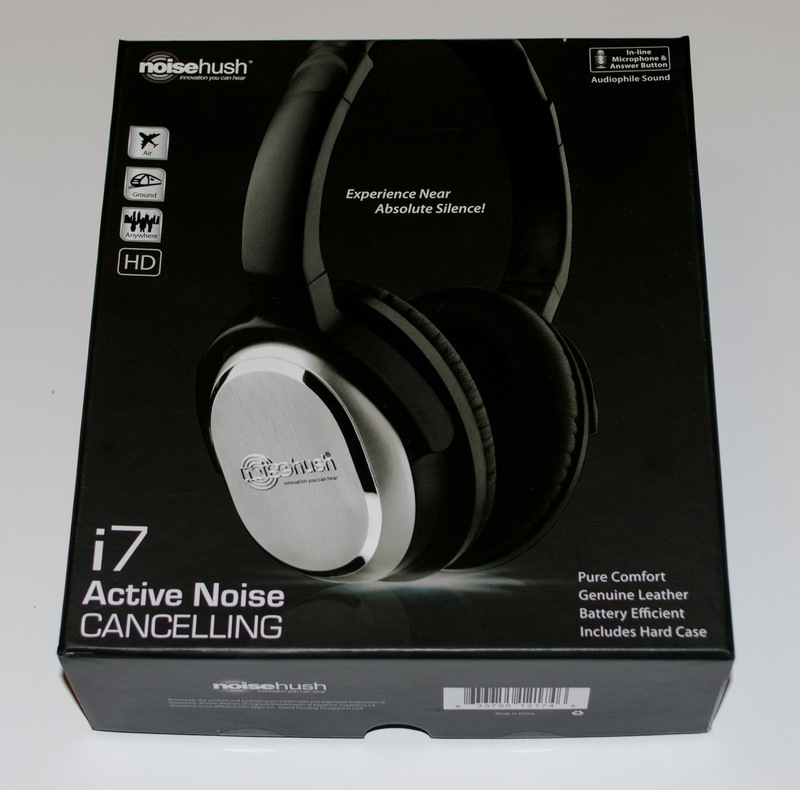 We're going to test this with the i7 Active Noise Cancelling Headphones from NoiseHush. The ear cups on the headphones are made with genuine leather. They swivel making them flatter for easy storage. On the left ear cup you'll find the 3.5 mm audio port and the outside plate slides down to open the battery compartment. On the right ear cup there is a switch to turn the noise cancelling on and off. The headphones come with a detachable cable which has a built in mic and a single button. They also provide a couple converters which is a nice bonus. I recorded a few seconds of audio next to my desktop computer. In both samples the microphone was placed inside of the headphones. The only difference was the noise cancelling feature being on (top sample) and off (bottom sample). 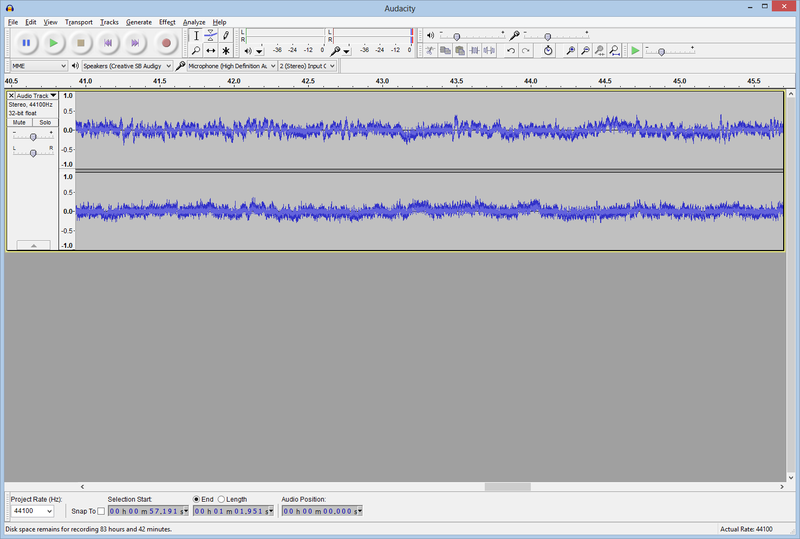 If I had a better microphone I am sure the difference would me more pronounced; however, the top sample does have noticeably less waves. 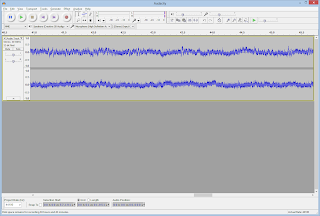 The amplitude is still about the same, but the frequency is less which I think demonstrates how several sound waves are in fact being canceled out. 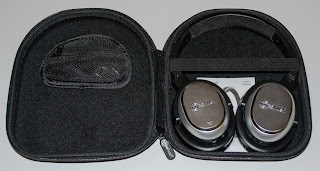 I've sampled the NoiseHush i7 headphones on several flights recently, in the car and sitting next to a noisy desktop computer. I noticed a significant drop in noise from the moment I turned on the active noise cancelling in each of these situations. I could still hear what was going on around me but the white noise was reduced by a noticeable margin. I took the headphones on several flights. The lower rumble of the plane was dampened, but not quite like the higher tones put out by the plane. I could still hear children crying and people talking. However, this was all heard through less noise from the plane. 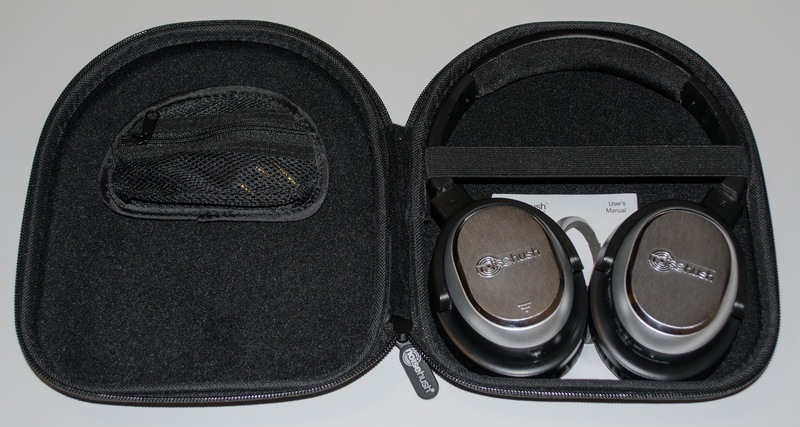 I thoroughly enjoyed using the NoiseHush i7 headphones on all of my flights. I live far outside of town, so my drives in to the city take a minimum of an hour. To pass the time I enjoy listening to audio books. The NoiseHush i7 headphones are perfect for this because I can cut out a lot of the white noise from the fan and engine. It's not that I have a hard time hearing my audio books while driving, but the active noise cancelling lets me listen to them at a lower decibel. For those of you that work next to a noisy computer, the NoiseHush i7 headphones can be used without even plugging them in. The active noise cancelling cuts out almost all of the noise from my computer. This is probably one of my favorite applications for the headphones. I can block out all that awful noise and focus on my work. 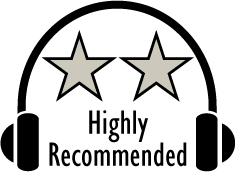 After a few hours I would find myself forgetting just how well the active noise cancelling was working and I would lift the headphones off my ears with stunned results of how much noise I was missing out on while I worked away. The NoiseHush i7 headphones have a built in amplifier which kicks in when the noise cancelling is turned on. The bass had punch, but lacked depth. The mid range tones came through loud and clear while the higher range tones could have been a bit louder. Overall I was impressed with the active noise cancelling offered by the NoiseHush i7 Active Noise Cancelling Headphones. There is a difference between cancelling out noise and cancelling out sound. The NoiseHush i7 Headphones are designed to cancel out white noise, not all sound. They perform exceptionally well for what they're designed to do. 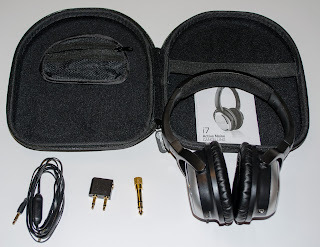 The build quality is solid and the headphones can be worn for several hours without discomfort. 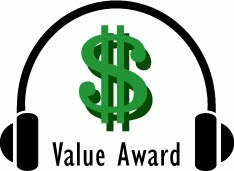 The price point, build quality and active noise cancelling performance of the NoiseHush i7 Headphones have earned the headphones our Value award. It is now spring and summer is coming. That means that many of us are getting bit by the upgrade bug, and are eyeing new cell phones. For example, there is the new HTC One. And for bargain hunters, last year’s Samsung Galaxy S3 can be found for a good deal. But it doesn’t stop there. Your new investment needs protection. And when it comes to cases, they don’t get much better than Otter Box. Like everything else, cases have also evolved. Their primary function is to protect. But now they also tend to add some style. Otter Box has also followed this trend. They still offer the same level of protection, but they offer them in different colors. An example of this is their Defender case for the Samsung Galaxy S III case. The case encompasses a hard plastic inner case and a soft rubber shell. They offer both pieces in multiple colors, so you can choose your own color combination. Like all Otter Box products, the Defender Series Galaxy S III case came and the build quality was excellent. And the fit was perfect. It gave full functionality of the Galaxy S III as well as a high level of protection. About the only thing the Defender Series case is not, is water proof. It will protect against drops, but not a drop in a pool. The same quality and protection is found in the Defender Series case for the HTC One. Only for the HTC One, I was sent both a Defender Series case as well as a Commuter Series case. So I got to really do a hands on comparison between the two. The color combinations are not as extensive as the Galaxy S III Defender series case, but they do have a few color combinations to choose from. The Commuter Series case for the HTC One provides added protection against drops, shocks and dust intrusion but is NOT protective against water. The Defender Series case provides added protection against bumps, drops and shocks but is NOT protective against water. The Commuter Series case is a two piece case. The 1st piece is a soft inner shell which is covered by the hard plastic 2nd piece. It does not have the hard plastic belt clip holder that is included with the Defender Series. And it also does not have the built-in screen protector of the Defender Series. It does however come with a separate screen protector, so you have the added option of using your phone with or without the screen protector. With the Defender Series, the screen protector is built-in. While I am sure most would be glad the screen protected is built-in to the Defender Series......if you would prefer to not have a screen protector, that option is not available with the Defender Series. You would have to modify it yourself and remove the built-in plastic screen protector. So the Defender Series and Commuter Series have different option and features. Depending on what protection you are looking for will determine which case you is right for you. With either one, your phone will be perfectly protected. No one wants to drop their phone. And it has happened to me from time to time. Fortunately my phone was Otter Box protected, which meant not a scratch on my phone. 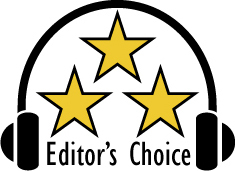 Based on their design, features, quality, and performance, the Commuter Series case has earned our Highly Recommended Award, and the Defender Series case has earned our Editor's Choice Award. If you are looking for a case for your phone, Otter Box should be on your short list. Your phone will thank you. For more info and complete specs, check out their website at www.otterbox.com.